Women are making inroads at Metrolinx, the regional transportation agency for the GTA. The organization has set a goal for parity between men and women in management by 2021. Ana Davies remembers the first time she had to "throw a switch" — railway lingo for pulling a lever to open a train track — as a challenge. No one gave her any tips or pointers. And it didn't help that her male coworkers were snickering about her not being strong enough to complete the task. "I put it into place and I was extremely proud of myself," Davies told CBC Toronto. "I proved to every guy in my class that I can do this." Davies, who's been a locomotive engineer for six years, said she always had to prove herself "to be able to ride along with the boys" when she was starting off. Now, she throws switches, climbs off trains and troubleshoots all the time when she's working on GO trains. 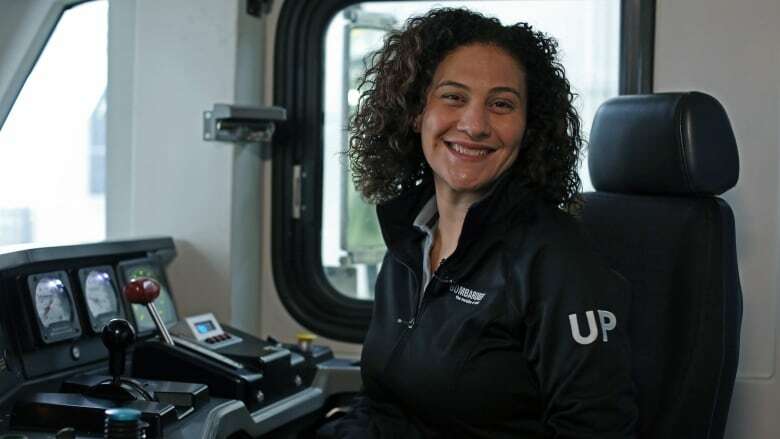 Davies said her self-confidence isn't the only thing that's changed since she was hired as a conductor for Bombardier Transportation, the company Metrolinx contracts to provide rail operations services, more than a decade ago. She said she's gone from being one of about five women doing her job to one of 50. Men have dominated the rail industry since British inventor Richard Trevithick, unveiled the first steam railway locomotive more than 200 years ago. But according to Leslie Woo, the chief planning and development officer at Metrolinx, that can change if more organizations start recruiting women into the industry. Woo said recruiting women starts with hiring women in management positions. "Gender equity in an organization has to really start from the top," she said. That's why the regional transportation agency wants to increase the number of women in management positions from 33 to 50 per cent by 2021. Metrolinx doesn't oversee Bombardier Transportation's hiring practices, but Woo said the agency started consciously tracking its own female workforce a little over a year ago. Just under one third — about 32 per cent — of all its staff are women at present. Women work as ticket takers, bus drivers and in every job in between. Woo said Metrolinx is also reviewing hiring practices and looking into ways to support women working in the organization. Diversity of thought in the organization is important when it comes to serving their range of customers and innovation in general, she said. "Without that, we tend to move towards a monolithic thinking and groupthink." 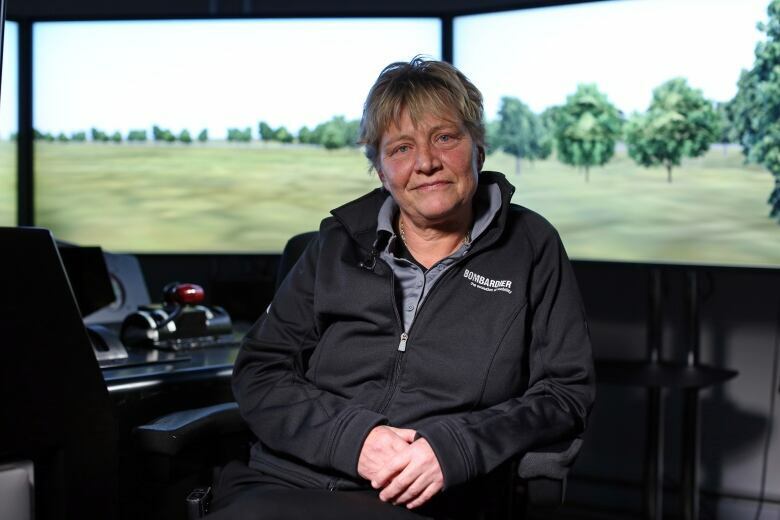 Tracy Harris, a training supervisor at Bombardier Transportation, said women thrive in rail industry roles because of their ability to focus, communicate and maintain situational awareness. "Women are very, very good at this," Harris said. Thirty years into her career, she said she's seen a complete transformation in the workforce. With all the GO Transit expansion, Harris said there's an opportunity for women to come into the industry at the ground level and rise the ranks to the boardroom. "I've actually asked women [if] they feel they're walking into a man's workplace or are they just walking into a workplace. And women, I'm proud to say, are saying now that they're walking into a workplace," she said. Sometimes, the classes she trains are still only men, but she said a culture shift is underway. "We have a long way to go, but we're getting there."